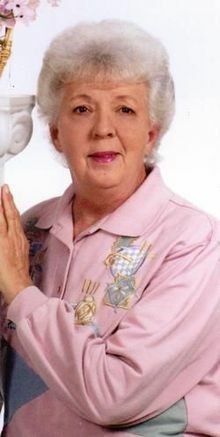 Frances Case Ballard, 83, of Asheville, died on Tuesday, June 23, 2009 at Aston Park Health Care. She was the daughter of the late Charlie and Effie Brank Case. In addition to her parents she was also preceded in death by her husband, Joe J. Ballard, daughter, Phyllis Ballard Garrison, three brothers, G.H., Ronald and Lewis Case, a sister-in-law, Ava Lee Case and a brother-in-law, Ray Lawing. Mrs. Ballard was a 1942 valedictorian graduate of Venable High School. She worked for 25 years at American Enka then at Taylor Instruments. She retired from Welch-Allen. Frances loved working with her beautiful flowers both inside and out. She collected McDonald's plates and Bradford Garden plates. She was a member of Bent Creek Baptist Church. Survivors include her daughter, Sharon Ballard Alexander and husband Philip of TX, three sisters, Pauline C. Lawing, Lorene C. Bridges and husband Robert, Judy C. McCurry and husband Bob, brother, Charles Case Jr., son-in-law, George Garrison, three sister-in-laws, Doris, Shirley and Patty Case and several nieces and nephews whom she loved dearly. Funeral Services will be held on Friday at 3:00PM in the Chapel of Faith at Forest Lawn. The family will receive friends in the chapel an hour prior to the service. Burial will follow in the park. To sign Mrs. Ballard's online register book please visit www.moorefh.net.